NEW YORK, NY— October 30, 2014 – Liquid Comics announced today that legendary filmmaker, Wes Craven (Scream, The Hills Have Eyes, Nightmare on Elm Street) has launched his first comic book series as a digital exclusive on Amazon in time for Halloween. The new series, “Coming of Rage,” was created and written by Craven working with acclaimed graphic novelist, Steve Niles (30 Days of Night, Criminal Macabre, Wake the Dead). 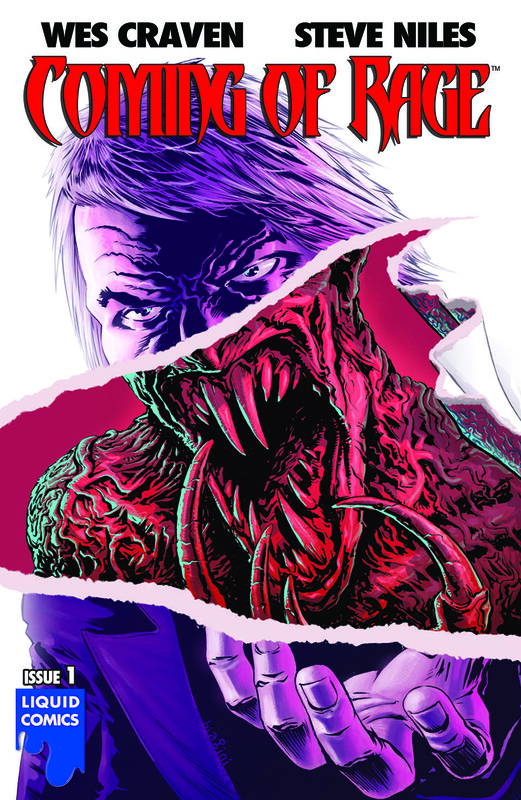 The five issue comic series brings together two masters of the horror genre working together for the first time. “Wes Craven is not only a great writer, producer and director, he is one of the most knowledgeable people I’ve had the honor to work with. I not only had fun working on ‘Coming of Rage,’ I also learned a great deal,” added Niles. Producer Arnold Rifkin of Cheyenne Enterprises (Hostage, 16 Blocks, Live Free or Die Hard) and Liquid Comics are now working with Craven on developing a television adaptation of the comic book series. Craven is represented by WME and Industry Entertainment. Liquid Comics is a digital entertainment company focused on creating cinematic and mythic graphic novel stories with filmmakers, creators and storytellers. The company was founded by entrepreneurs Sharad Devarajan, Gotham Chopra and Suresh Seetharaman and uses the medium of digital graphic novel publishing to develop properties for theatrical live-action films, animation and video games. Liquid Comics has created and is creating original graphic novels with acclaimed filmmakers and talents including John Woo, Guy Ritchie, Grant Morrison, Dave Stewart, Marc Guggenheim, Jonathan Mostow, Edward Burns, Nicolas Cage, John Moore, Wes Craven, Barry Sonnenfeld and many others. The company currently has a number of film and television projects in development based on their properties. ©2014 Liquid Comics LLC. All Rights Reserved.Blog at WordPress.com.